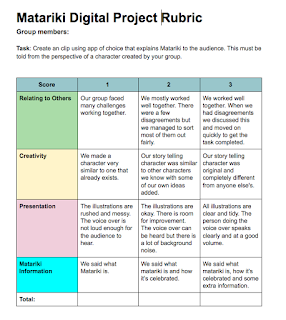 Today Mrs Harris's literacy groups worked on a digital Matariki project. This all started yesterday when we began exploring Matariki. For many of us Matariki was a topic we knew a lot about already, so we wanted to make this year a bit different. Mrs Harris asked us what we wanted to do for Matariki this year. Some of us gave suggestions and we narrowed it down to three things: making vegetable soup, creating Matariki video clips and a clay art project. We had a vote and decided on Matariki videos. Next we got into small groups to make a plan. We needed to create a character, assign jobs for everyone in the group and take notes about what we wanted to say in the video. We were able to choose an app of our choice. Most of us used iMovie and some of us used Puppet Pals, Stop Motion or Explain Everything. We had so much fun getting creative and illustrating the setting and the characters. At the end of the day we shared our projects with the rest of the group. We all got feedback and thought about our next steps. 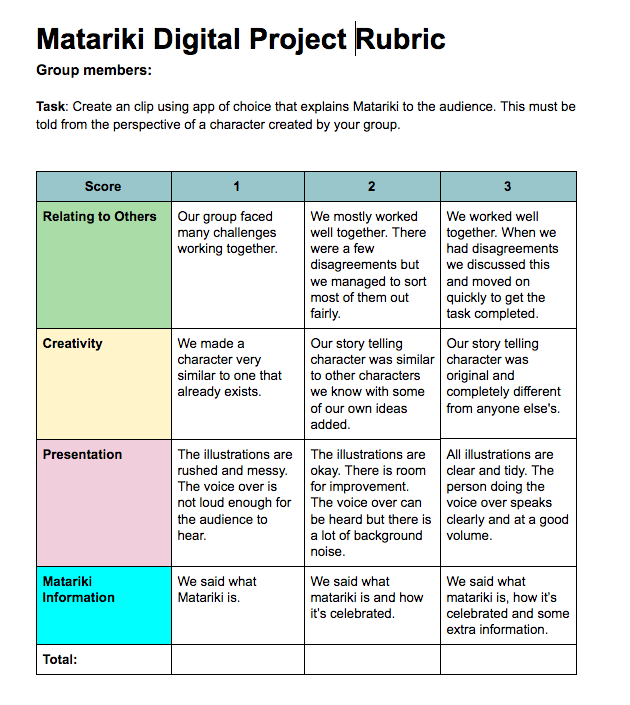 Maybe we could share our digital Matariki projects with another class. We are excited to share these with our whanau in week ten.